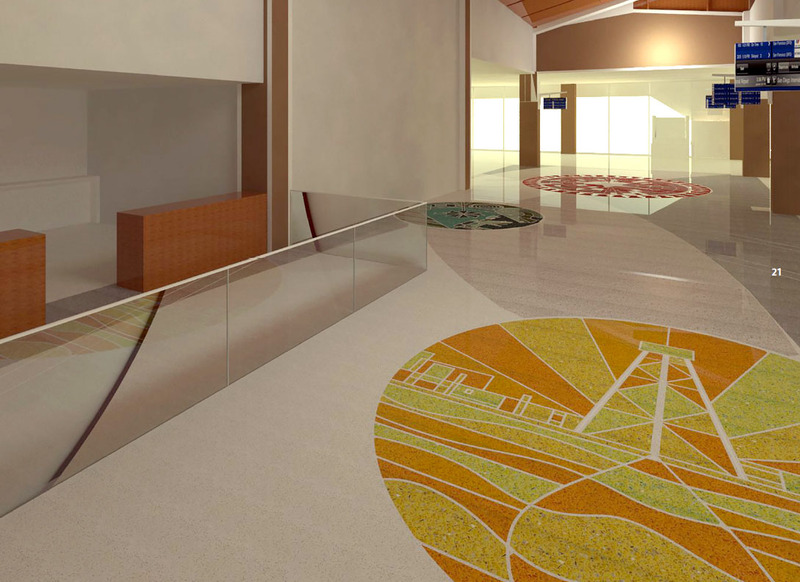 The Oklahoma City Arts Commission will vote on Monday to approve plans by local artist Matt Goad to install multiple terrazzo floor designs as well as etched glass wall. 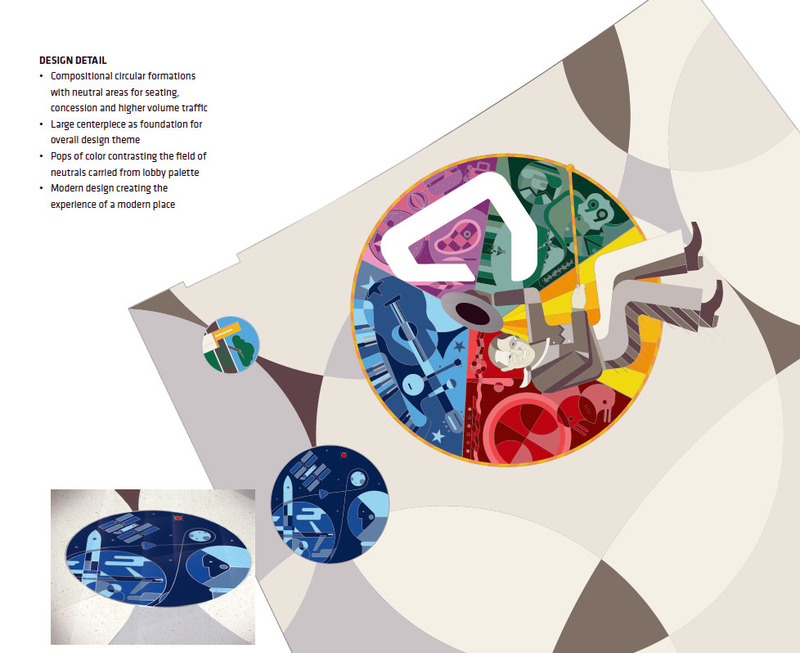 Goad's proposal won out over five finalists, selected after the Oklahoma City Airport Trust voted to publish a Call to Artists seeking an artist or team of artists to design and oversee installation for integrated works that would be a part of the airport buildout. 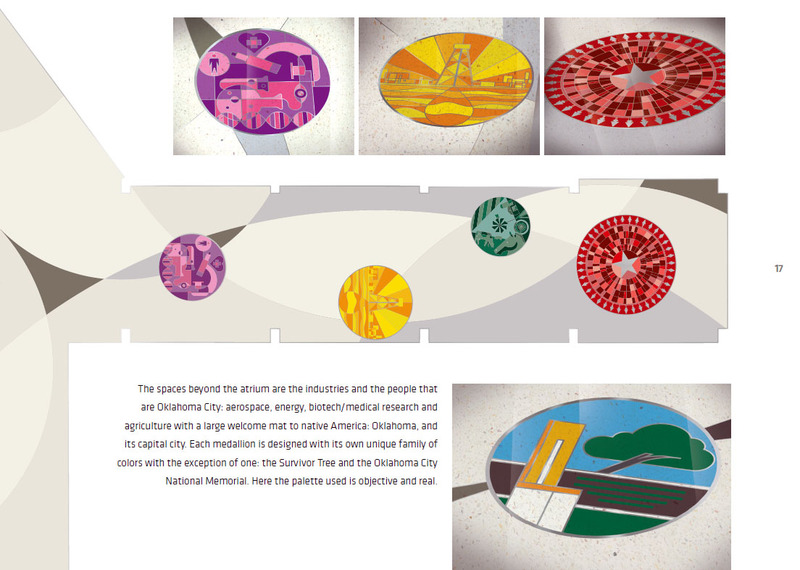 Titled OKConnected, the artist statement describes the collective works as “the story of Oklahoma City, designed as a welcome mat for the city's front door: Will Rogers World Airport”. 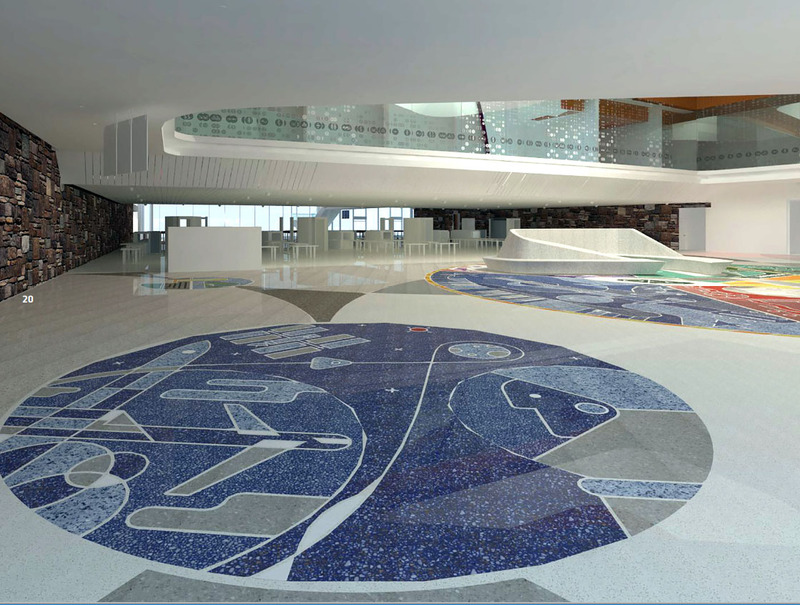 The largest installation will come in the form of a massive terrazzo floor display in the new section of the lobby that leads to the singular, consolidated security checkpoint. 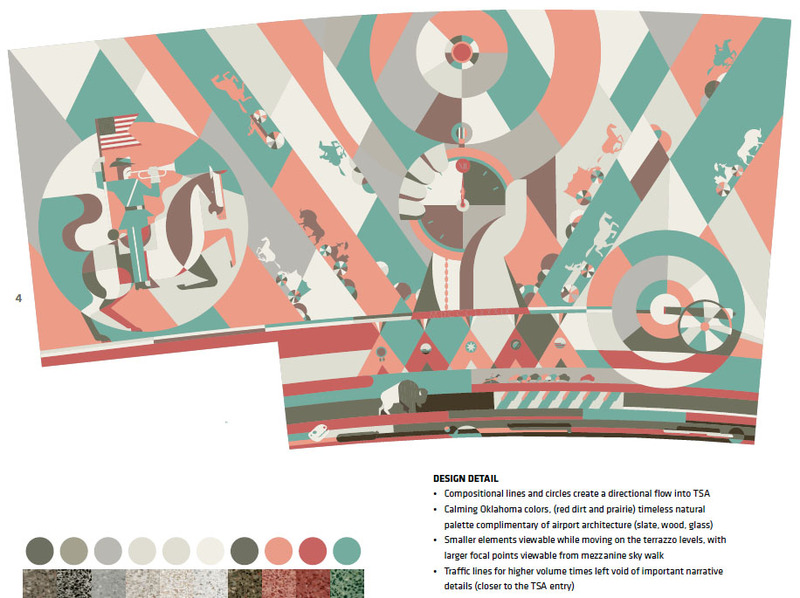 The design calls for colors and shapes that provide a clean and calming experience and depicts scenes from just before and after the founding of Oklahoma City. 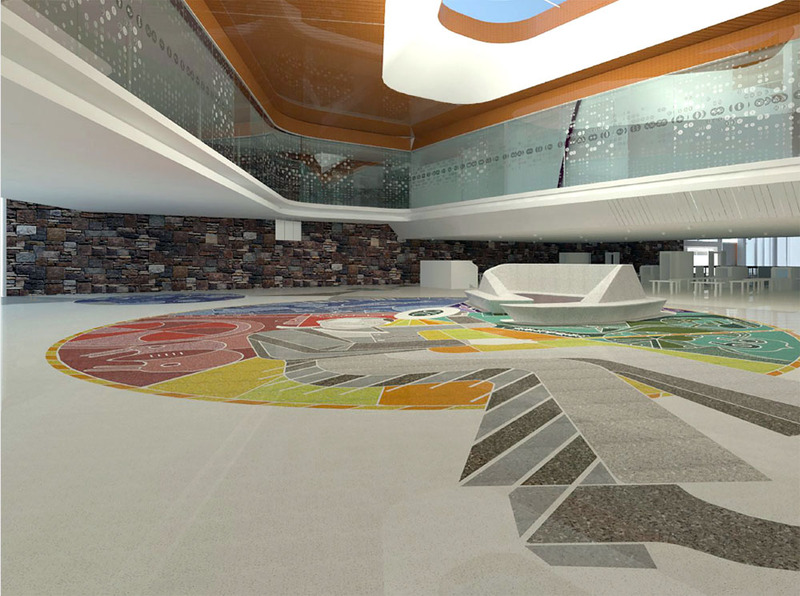 The remainder of the project will adorn the new main atrium and gate corridor will the goal of connecting arriving and departing passengers with a sense of place through images of OKC's colorful cultures and industries. 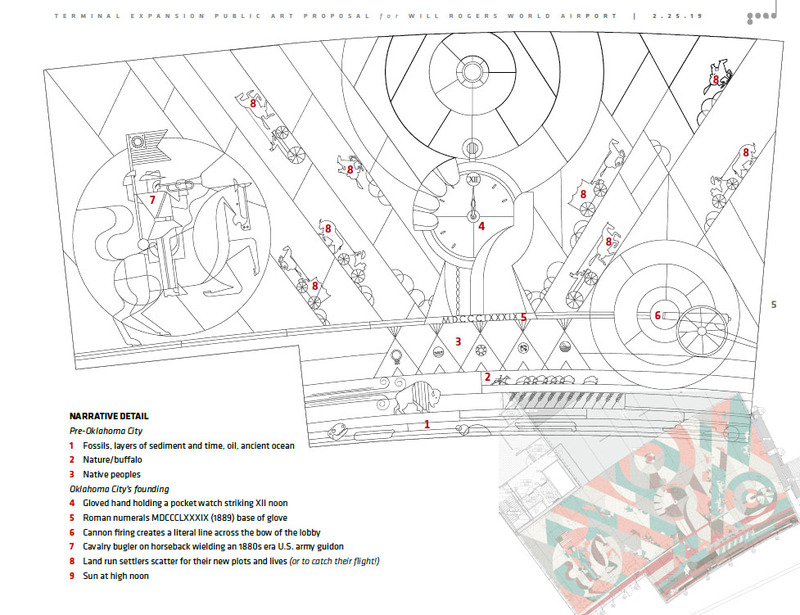 The designs are all round and evoke central-pivot irrigation circles that are common in the Oklahoma landscape. 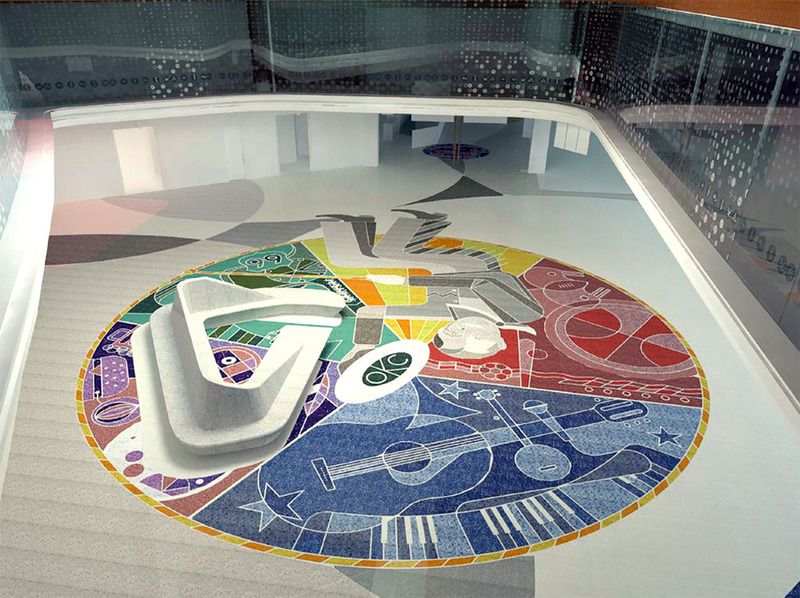 The centerpiece is the atrium where a 'celebration of Oklahoma City' provides a focal point with a depiction of Will Rogers himself, as well as hospitality, sports, music and entertainment. The area also includes the curved etched glass wall for the 2nd level walkway. 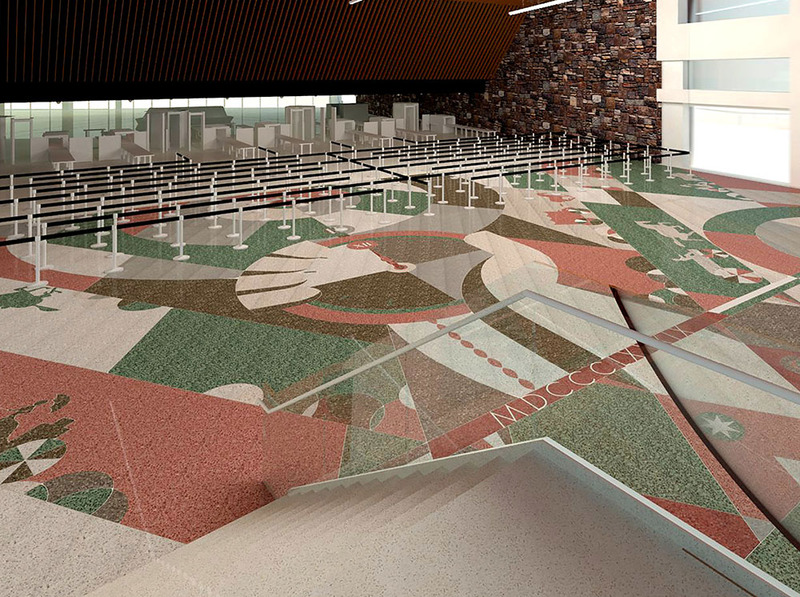 Assuming approval by the Arts Commimission, the airport trust would have final approval of the project.